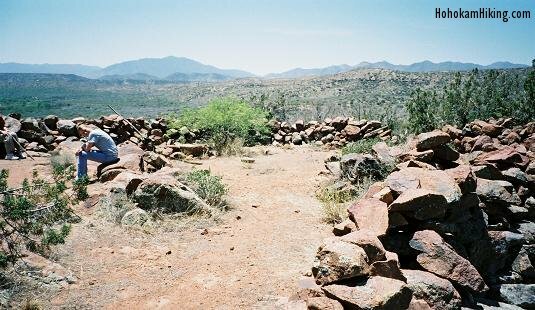 Elevation at Base of Butte: 2800 ft.
Elevation at Ruins: about 3050 ft.
Elevation Change: about 250 ft.
Take Arizona 87 north towards Payson. A few miles before the town of Rye, there is a turnoff called Gisela Road. Turn right onto Gisela Road and follow it for just over 4 miles at which point you need to take a right onto Tonto Creek Drive. Follow this through the homes as far as you can go. The first mile or so is well-maintained, but then it starts getting a bit rough. 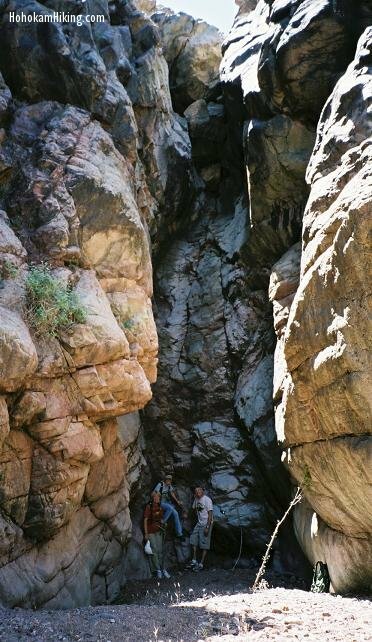 You'll want to get as close to Tonto Creek as possible. We had to park about .25 miles away, which wasn't a big deal. 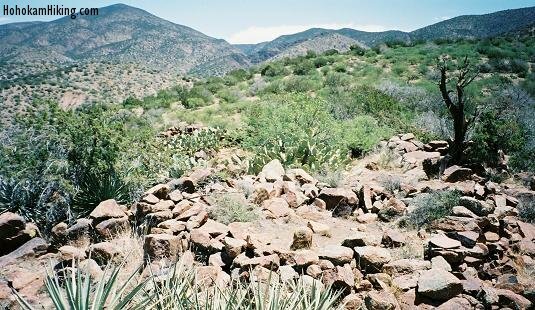 There is no trail to get to these ruins, but the bush-whacking isn't very hard. First find Tonto Creek. 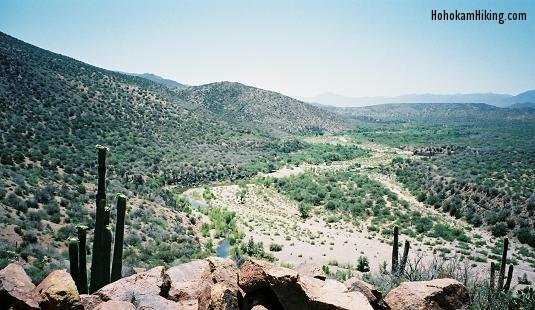 You'll want to follow Tonto Creek downstream for about 1 1/2 miles. The ruins are on the east side of the creek, but if the water is low enough I suggest waiting until you're close to the ruins before you cross the creek. When we did the hike, we crossed the creek right away and regretted it later on. After hiking along the creek for about 1 1/2 miles, you'll come to a spot where the creek squeezes through a cliff on the west side and a tall butte on the east side (further east is a taller mountain). The ruins are on top of the butte. We hiked up the north side of the butte to get to the ruins and then down the west side. 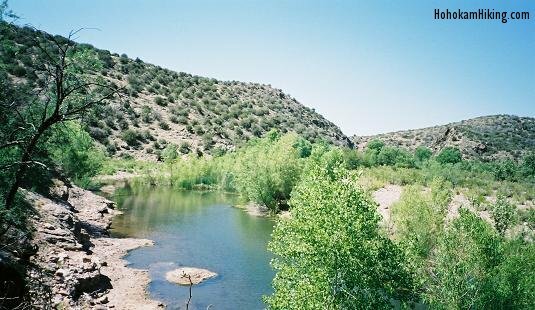 When we went in May there was a place to cross Tonto Creek just west of the butte, but at other times during the year I'm sure it's flooded. 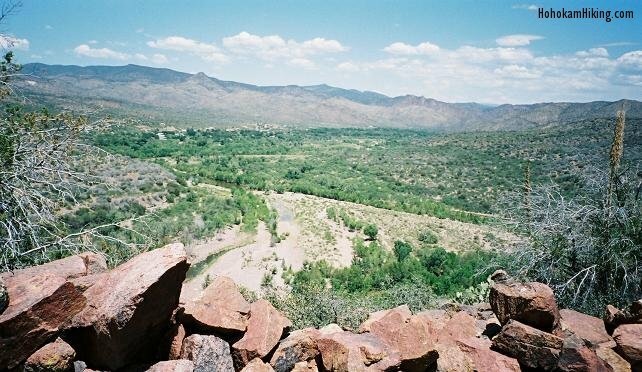 Once you're at the ruins you'll see a great view up and down Tonto Creek. The thing we found most interesting about these ruins was the large room on the southern end of them--perhaps it was used for ceremonies, meetings, or other large gatherings. In addition to the rooms on the very top of the butte, we also came accross a wall on the northern slope, about half way up (GPS: N 34 04.704' W 111 16.942'). Another point of interest is a box canyon northeast of the ruins (down the hill). On the north side of the butte there is ravine that's usually dry. Follow the ravine east and you'll wind up at a dead end in a box canyon. It's very picturesque and worth the extra energy to get there. We found it after we crossed Tonto Creek too early and ended up having to hike way east to get over the hill that precedes the hill the ruins are on.